The Music School You’ve Been Looking For! Cappella Music Academy is the leading and most preferred music school in the Greater Seattle Area. We have the most experienced and skilled team of music teachers in all of Puget Sound. Whether you are a beginner music student or have played your instrument for many years, Cappella Music Academy is the place for you! Wouldn't it be nice for your whole family to be able to take music lessons at the same time with separate teachers? Now you can! We can schedule your music lessons back to back or simultaneously with separate instructors! We provide everything in one location for your busy schedule! Offering piano lessons, guitar lessons, voice lessons, bass lessons, drum lessons, ukulele lessons, cello lessons, viola lessons and violin lessons all in ONE convenient location in the heart of Bonney Lake and Tacoma! Cappella Music Academy does not require semester minimums for music lessons! We want students who truly want to be here and we will not commit you to a long term contract. Every student here is on a month-to-month basis. If you are ready to start music lessons, you have nothing to lose! We know you'll love taking lessons with Cappella Music Academy so much, you won't want to leave! Our Bonney Lake and Tacoma music teachers are committed to making your learning experience amazing at each and every lesson! All of our music instructors have college training or extensive professional performance experience. Our music teachers are dedicated to learning about your personal musical goals and helping you to achieve them. We are confident that we have the right music teacher to meet your music lesson needs. In addition to their teaching credentials, our teachers have warm personalities and are extremely friendly and dedicated to teaching you the style of music that YOU want to learn! With each of our two locations boasting over 2,000 square feet, we have the most spacious and parent friendly lobbies in the area. Instead of waiting in a music retail store showroom, our clients enjoy a spacious, professional parent's lounge with comfortable chairs, free Wi-Fi and magazines. We also provide large observation windows on every door so that you can watch your child's lesson while you wait. Or if you prefer you can sit in on their lesson anytime you like! Cappella Music Academy is the only music school in Bonney Lake, Washington and Tacoma, Washington that offers music lessons six days a week from early in the morning to late at night to accommodate your busy schedule. We don't want scheduling to be the reason you didn't learn an instrument! Proven Track Record of EXCELLENCE! Visit our testimonials page to see what our students are saying about Cappella Music Academy. 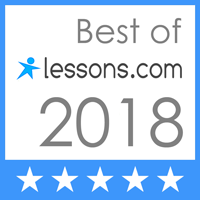 Our music school has a proven track record of offering quality piano lessons, guitar lessons, voice lessons, bass lessons, drum lessons, ukulele lessons, flute lessons, clarinet lessons, viola lessons, cello lessons and violin lessons in Bonney Lake, Washington and Tacoma, Washington year round. Our full time mission is teaching music lessons at the absolute highest caliber! We offer Electric and Acoustic Guitar lessons, Voice lessons, Piano lessons, Bass lessons, Drums lessons, Ukulele lessons, Violin lessons, Cello lessons, Viola lessons and MORE! We are the only school in Bonney Lake, Washington and Tacoma, Washington that offers all of these instruments, five days a week, year-round! We are also the only music school in Pierce County that offers all of these musical instruments through the summer months as well! Located on Main Street in the Heart of Bonney Lake and tacoma! Due to its two central locations, Cappella Music Academy is convenient to all areas of Bonney Lake, Sumner, Orting, Buckley, Enumclaw, Auburn, Lake Tapps, South Prairie, Edgewood, Fife, Puyallup, Graham, Tacoma, Federal Way, Kent, Lakewood, Gig Harbor, Des Moines and beyond! Early Morning and Lunch Time Lessons available! Since we are the largest academy in the area, we are able to be a “full service” music school. This allows us to offer lessons as early as 8:00am . We also see many students between the hours of 11am-2pm. If you are a homeschool student, parent, retiree, college student or working professional who has a flexible schedule, take advantage of our early morning and lunch time lesson spots! Trophies, certificates and award wristbands to celebrate achievement! We are the only music school in Pierce County that gives their students the opportunity to earn special color wristband bracelets (kids and teens love them! ), trophies AND certificates for passing musical tests. Do other schools offer trophies and certificates? A few. But none of them inspire their students with smiling faces by giving them full color, really cool "Musical Ladder" wristbands that they can show off to their friends. More importantly, when our students have a test coming up, they practice more, and their parents are proud, their teachers are proud, and everybody wins. You can only get the Musical Ladder here. We also specialize in music lessons for adults. Free music recitals in world-class PERFORMANCE halls. We are the only music school in the Bonney Lake and Tacoma that offers FREE recitals in first class professional recital halls. Every parent just wants to know how their student is doing and if they are really progressing. The best way for a parent to understand if their investment is really worth it is to have their child participate in a recital. In Spring and Winter, many of our students choose to perform in our biannual recitals. We hold these at prestigious auditoriums around the Bonney Lake and Tacoma areas. For our students, these recitals are free, and unlike many music schools in the Seattle area, we do not charge recital participation or admission fees. Our mission is to equip students of all ages, levels and backgrounds with the highest caliber of performing arts education. Our ultimate priority is to develop and shape each of our students into unique and creative artists; thus to benefit both themselves and others through the world of the performing arts. Cappella Music Academy is committed to providing our students with the most elite level of training through our stellar, world-class faculty and staff. Our team strives to instill a lifelong passion for the arts in each of our students so they may achieve their fullest artistic potential. "Music is powerful. It has the capacity to bring people together across generational boundaries, language barriers, political beliefs and spiritual convictions. Age, physical capabilities and mental capacity do not limit one's ability to experience the positive effects of music. I founded Cappella Music Academy because I strongly believe that music changes lives and shapes the character of the performer as well as the listener."